Gyazo provides a standard RESTful API for HTTP requests which returns a response in JSON. The app has a generous rate limit set and by sending us a message it can be increased depending on the situation. Read the documentation and register your application to get started. 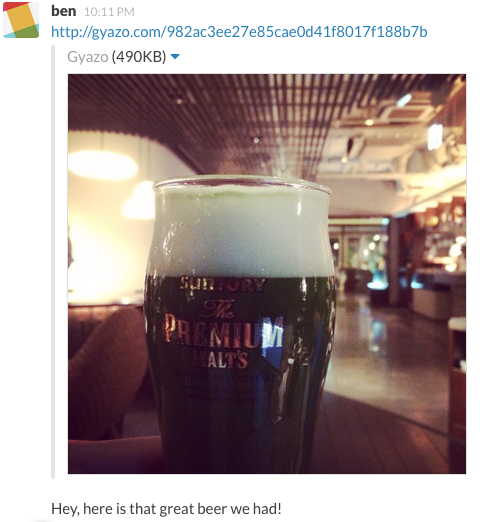 To create our chrome/firefox extension, we used the Gyazo API extensively. As an example of how to use the API you can review the code on github. Gyazo supports for the oEmbed API which makes embedding much faster on enabled sites. oEmbed is a great format for quickly embedding content from sites like YouTube, Instagram, SoundCloud, and now Gyazo onto blogs and networks. It is possible to get Gyazo images embedded on your site and in your apps if you have oEmbed set up. To get started please refer to our API documentation.